New England business owners are invited to join a free ‘smart conversation’ with four regional entrepreneurs at Uralla’s New England Brewing Company on Tuesday 14 November. Northern Tablelands MP Adam Marshall said the event, from 5.30pm to 7pm, is part of the University of New England’s (UNE) SMART Region Incubator’s ‘SMART Conversation Series’. The UNE Smart Region Incubator is funded by the NSW Government through its Boosting Business Innovation Program which is providing $18 million to the state’s 11 universities and CSIRO, including $1.5 million to UNE, to help businesses innovate and grow. “This event is a chance for businesses to learn from four local entrepreneurs about the highs and lows of their entrepreneurial and innovation journeys to help them on the path to success,” Mr Marshall said. 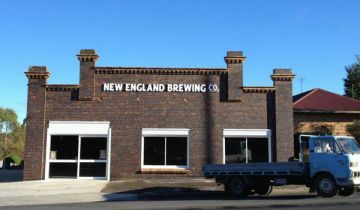 New England Brewing Company owner Ben Rylands is hosting the event and will join an experienced panel of speakers which include Seasons of New England director Tara Toomey, Red 8 Produce directors Anita Taylor and Sarah Burrows and AuctionsPlus CEO Anna Speer. Event facilitator UNE SMART Region Incubator Expert in Residence Gary Morgan, said start-ups begin with an idea or product but it is entrepreneurs who use them to found successful businesses. “The UNE SMART Region Incubator supports regional start-ups by providing people with the space and resources to shape ideas and build successful new businesses – and one way to do this is to hear from those who’ve already trodden this path,” Mr Morgan said.